One of the key components of any survival kit is your knife. Making sure that you have the best fixed blade knife for your purposes isn’t just a good idea, it can be an absolute lifesaver if you ever need that kit. Many people opt for knives which aren’t great for the purpose, however. The fascination with big combat and military-style knives held by many survivalists holds them back in a serious way. If you’re looking to make a serious survival kit then read on and we’ll describe the properties you need in order to make sure that you have the best blade possible if the SHTF. The blade of your knife is key to making sure the knife is well-prepped for what you need. Many people swear by large clip-tip Bowie knives, things like the USMC Ka-Bar are popular among survivalists. They’re also not the best option. A combat knife is for combat. Your survival knife is a tool you need to make sure that you can handle rough tasks on the go. Making sure that you understand the difference is key. Length-Length is a personal preference based on your hand size and needs. 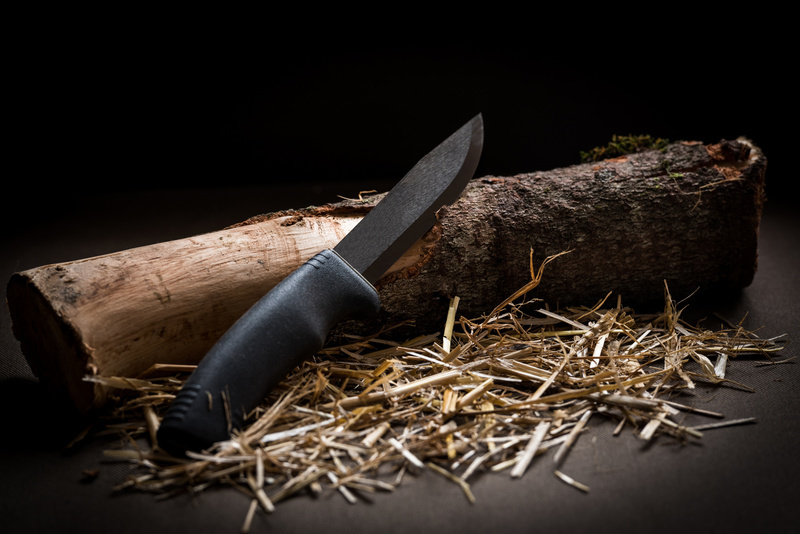 While most Americans focus on knives with blades of six to eight inches, European bushcrafters often go with knives that are four inches in length. Something shorter makes the knife more manageable for most work, something longer has more weight and can be used more easily for chopping task. Steel-For most people, a stainless steel knife is the way to go. They require less maintenance and hold an edge better for longer periods. If you really know what you’re doing then chances are that some type of carbon steel is fine, just remember to patina the blade before putting it away in your kit. Tip-The tip style of your knife is another big factor. While clip tips are quite common in “survival” knives it’s not always ideal. A drop point or simple blade often perform much better for the tasks you’ll be using your knife for. Grind-The grind of the blade determines the durability of the edge and how sharp the knife can be. Grinds are a big matter of personal preference but for a knife which is likely to see heavy use in a tight spot a saber or Scandinavian grind is ideal. They’re quite easy to sharpen with improvised tools and the long grind of the primary bevel holds an edge through tough tasks. Just don’t go with a hollow grind and you’re probably in the clear. If you take the above into account then you’ll end up with a good survival knife as long as the rest of it is up to par. Avoid hollow handles. The Rambo survival knifes with a bunch of stuff in a hollow handle rarely hold up well under heavy use and the extra tools could be carried just as easily and placed separately in your kit. The important thing is a full tang. Not three quarters, not half. Full. The tail of the blade needs to run through the length of the handle. Ideally, it will also be non-slip and waterproof. Leather looks nice and gives a good grip but if it’s not treated properly it can become a serious problem if it’s wet. A crossguard or some other feature to keep your knife from sliding up the blade is also a good thing to have. In a survival situation, you may not always be at the top of your game. Slips happen, no matter how good you are. There are a lot of good knives out there for relatively cheap which make the grade when it comes to handling. Morakniv, in particular, has some really ugly handles which perform well in the hand. As long as the knife is full-tang, has a non-slip handle or guard of some sort, and is manageable in the hand for tasks both large and small you’re doing well. The sheath is really a matter of personal preference. Leather sheaths are durable and look great. If you manage to bang one against a rock or wall it’s likely not going to take anything other than scuffing. They can also be worn for extended periods without needing to worry about whether or not they’ll fall apart. Plastic sheathes are sometimes great. Good ones are fantastic and make it easy to get to a knife while keeping a good hold on them. Bad ones wear out quickly and you’ll end up with a loose knife hanging from your belt. Plastic sheathes do tend to be the fastest to draw from, especially if you’re not actively practicing. Nylon sheaths are not worth it. If you do pick a knife with one then you’ll want to replace it. Nylon is tough enough to stand up to scrapes but it’s a hallmark of cheap knives and the stitching is usually pretty bad and falls apart with repeated use. When you’re looking to make sure you have the best fixed blade knife you should keep all of the above in mind. Many are available for quite cheap, although custom bushcraft knives and the like can run up into the hundreds of dollars easily. All of the above qualities are geared towards making sure you have a knife which will hold up in bad conditions and is usable as a tool. Combat knives have their place, but as a general rule, a good survival knife will function better as a weapon than a military knife will as a tool. What you need is something which will hold up in the long run with minimal maintenance. Batoning firewood or carving a skewer is much more useful in a survival situation than being able to fight with a bear. Pick one up today and add it to your kit. And don’t forget to leave a comment on our blog.